Librarying with the cunning use of stick figures. As a child, my sister had an imaginary friend named Um-Um. 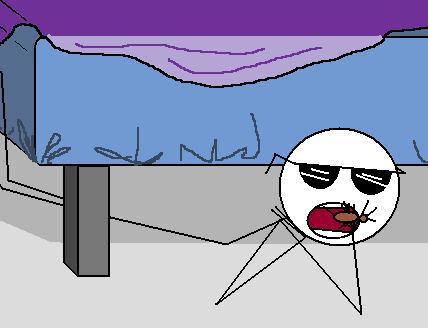 He lived under her bed and ate bugs to earn his keep. Sometimes he came on family vacations with us. This week’s cataloging object is my sister’s childhood imaginary friend. He wears his sunglasses at night. 245 0 0 Um-Um :|ban imaginary friend |h[intangible] /|cD. Jones. 300 1 imaginary friend :|btransparent ;|c 20 cm. 500 Titles created by cataloger. 500 Dimensions approximated by space between floor and bed on average bed. 650 0 Hallucinations and illusions in children. 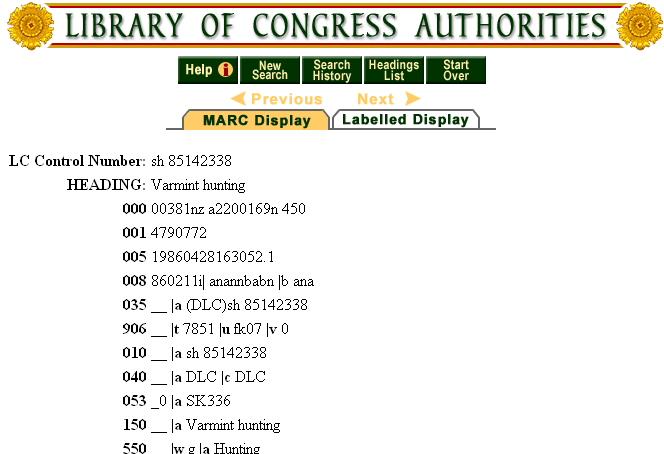 “Varmint hunting” is an actual authorized subject heading. Um-Um wasn’t so much “varmint hunting” as he was providing a pest-control service, thus my exclusion of the term in my cataloging entry. Believe me, if it had been applicable … I would have used it. Also: “Varmint hunting” is apparently a thing. They have an association and everything. *Disclaimer: This record, in all its hypothetical wonder, was not actually entered into any existing catalogs. Any mis-appropriations of MARC fields are not intended to offend any catalogers that have more experience than myself in cataloging imaginary friends. **For more about Cataloging Fridays, click here.